Not to confuse NKT any more that it is, there is a new NKT target. "World At War" marks the great "come-back" of this cult french band, after years of absence. This new incarnation of LA NOMENKLATUR offers the usual "trade-mark" of the band : a mix of martial rhythms, orchestral parts, melodic synth lines, orchestral choirs, processed metal percussion, sampled voices, and heavy processed vocals. Another trademark infringement case for NKT. Not a chance. 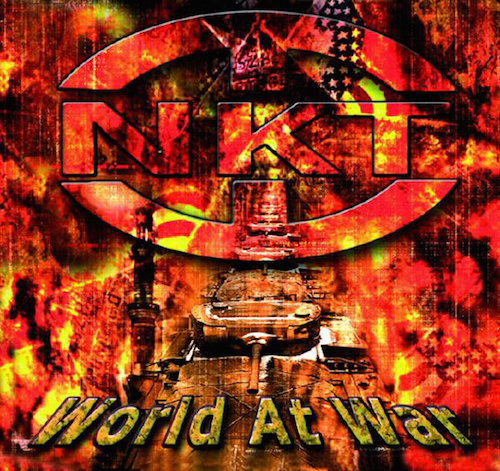 NKT alleges that the URL nktworld.org confuses thousands of people Internet searching for NKT. To them, NKT alleges, nktworld.org is produced by NKT. Obvious to everyone, it is not. It is Kelsang Gyatso who is confused. Kelsang Gyatso demands that the URL be banned just as those who disagree with NKT are banned and the classical books of Buddhism are banned inside NKT. Some of these banned books transcribe Buddha's own words. Inside NKT, all books about Buddhism are replaced by a tidy set of Kelsang Gyatso's books. Of course, Kelsang Gyatso has the right to disagree with Buddhism and nktworld.org just as we have a right to disagree with Kelsang Gyatso. Free speech is bedrock principle. However, the web site indicates since August 26 2015, "Forbidden: You don't have permission to access / on this server." Kelsang Gyatso alleges that the 7 year old URL violates his 1 year old limited trademark. Of course, it does not. A concern is that among his fans, there are fanatics. Thus, the web site was removed. As news reports show us every day, confusion and fanatacism are a dangerous mix. As many have asked who hear about Kelsang Gyatso's complaint, "Why is a religious organization doing such a thing?" Because, Kelsang Gyatso's toxic self absorption is at war with information and dignity. And, because of the reach of NKT, around the world, even into Tibet to denounce its leaders, its State and its religion. If Kelsang Gyatso and NKT were truly peaceful, they would denounce their world war. Ultimately, Kelsang Gyatso will see that he was at war with himself, hurting many in the process.